Jan. 15 – Feb 14 is the time that you can show your support for Downtown Dayton activities by donating money and purchasing a paper “heart” at your downtown businesses or online at our Square store! 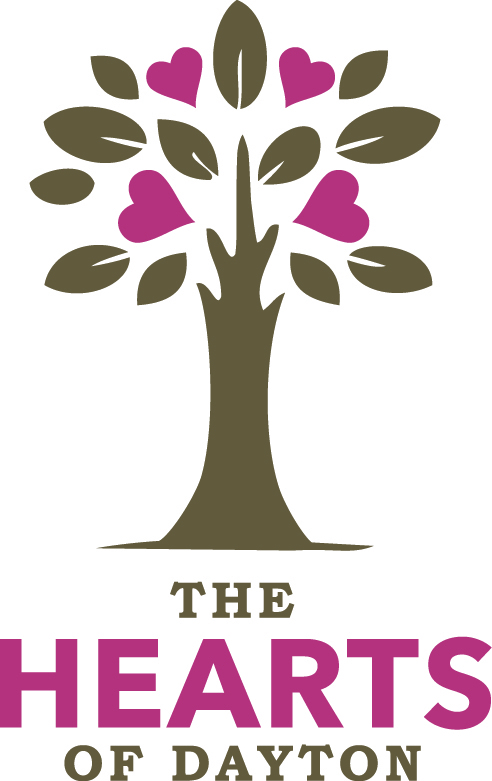 Your heart will hang with others’ for the month, showing your affection for your community! 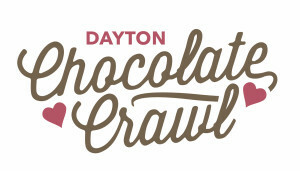 Passports for the 2nd Annual “Chocolate Crawl” will go on sale downtown and online at our Square page on Jan. 15th. Passports are $10.00 each. This year’s Crawl will take place Saturday, February 11th from noon – 3pm, at participating downtown businesses. Visit the businesses and enjoy complimentary chocolate treats. For fun, take a picture for Facebook or Instagram and tag daytonoregon. #daytonoregon #ChocolateCrawl . Also tag the business you’re in! We will draw from entries for downtown prizes. Show some Valentine spirit! Watch our Facebook page or our website for further information. 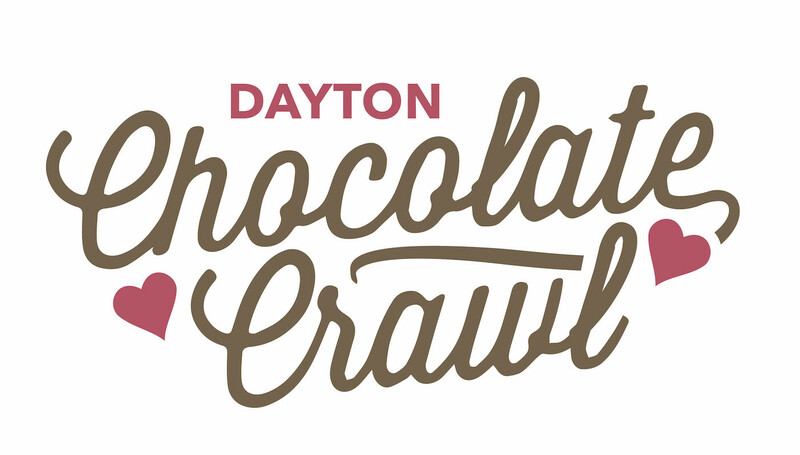 All proceeds from Hearts of Dayton and the Downtown Chocolate Crawl support the Dayton Community Development Association and community activities for YOU! Because we are a 501c3 non-profit, your donation may be tax deductible. Artscape 2017 will be presented by Dayton Community Development Association and various sponsors. It is a community-building project created to add interest and color to our town. With the success of the 2016 Artscape, we are especially excited for 2017, as it will be bigger and better. Our Artscape 2016 event won an award, so we have a lot to live up to in 2017. Your artwork might be on display around Dayton for the town to view in some fashion. We will end the summer with our Artscape Auction on September 23, 2017, where we will sell your artwork to the highest bidder. The funds will go to support the DCDA and all the work they are doing to make Dayton great! Art submissions will be due on May 1st, 2017. For more details or questions, please contact the Artscape Coordinator, Jenni Middleton, at 971-264-4289. We look forward to this exciting event and can’t wait to see what this year’s artists create! SHOPPING! Some love it, some not-so-much… The Dayton Community Development Association (DCDA) has just made your gift giving easier and offers a way to support your downtown. DAYTON DOLLARS are here! Sold in $5 increments, buy as many as you want. They are redeemable for purchases at any participating Downtown Dayton merchant. The dollars act like gift certificates. They can be used for goods and services in participating businesses located in the downtown and can be purchased online and at Dayton Mercantile. Think about gift certificates for our restaurants: Archie’s Ice Cream And Eatery, The Barlow Room, The Block House Cafe, Lonestar Bbq Restaurant and Catering. How about wine or wine tasting at Seufert Winery or fun gifts from Dayton Mercantile or Zukasa Mexican Tienda? Dayton Dollars are valid and redeemable for goods and services at participating Downtown merchants for stated value. Merchant participation and product availability subject to change at any time. 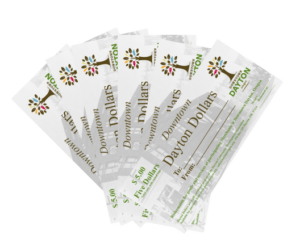 Dayton Dollars cannot be redeemed for cash or used to purchase other gift certificates. Dayton Dollars cannot be replaced if lost or stolen. Dayton Dollars cannot be used or redeemed towards previous purchases. No change will be given for items costing less than a full gift certificate. All sales subject to terms of participating merchant. Dayton Dollars is administered by the Dayton Community Development Association. The fall newsletter is out! 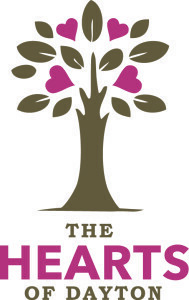 Click below to read about the Hearts of Dayton Chocolate Crawl, the newly formed Brookside Cemetery Association, Sewer system improvements, Alder Street and 11th Street Waterline Improvements, and more! Innovate Dayton: 10-Gigabit Internet in Dayton & A New Model of Education for Dayton Schools! Dayton, Oregon is currently rolling out a new model of education that fosters hands-on learning to solve real world problems. In a matter of mere months, Dayton will become the West Coast’s first 10-gigabit broadband city, working in partnership with Online NW, a local internet provider, to bring a gigabit fiber network to Dayton. The community is using this ultra-fast broadband capability to build an innovation ecosystem across schools, non-profit organizations, local businesses and government entities. Learn more about the initiative at www.innovatedayton.org and learn more about registering for OnlineNW’s amazingly fast fiber internet packages in Dayton at www.onlinenw.com/dayton/.